I was out early walking the dogs on Saturday morning and the sky was such a deep blue already as the sun came up, highlighting all the trajectories of the planes. 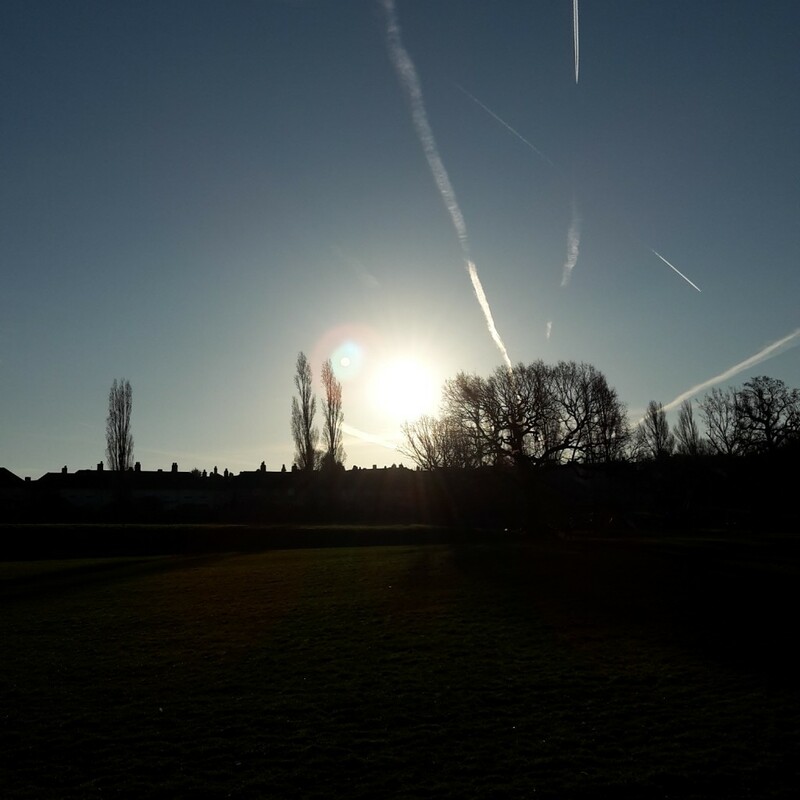 Stunning photo – love the sun behind the trees and the trails of the planes in the sky stand out so beautifully. The skies in the morning have been stunning lately.